Christine insists on frank and practical communication amongst the entire design team for her projects. Her skill in leading conversations amongst stake holders has achieved positive results in bringing about change throughout the community consultation process. Her focus is to deliver a transparent service to her clients. She will treat your design concerns as a challenge and will explore as many lateral opportunities to find a solution for you. 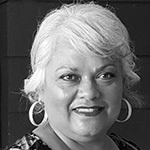 Christine commenced Imagescape Design Studios in 1995 and has successfully managed the Operations of the practice for many years. 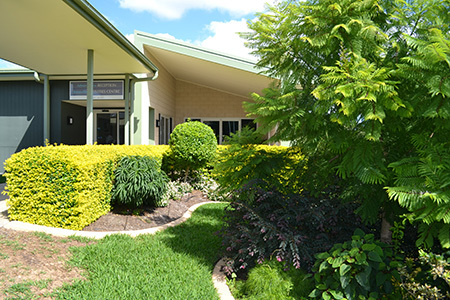 Imagescape was engaged to prepare a Masterplan to bring a 1950s retirement centre into a present-day facility meeting the vastly different standards that retirees expect today along with mandatory upgrades and access. The biggest challenge was to reassure the residents that the final facility would have the same number of units and that nobody would move home more than twice. As a bonus, everyone would enjoy a larger unit. Everyone involved, client and residents alike, were concerned about the potential disruption. Information sessions were organised to gain everyone’s confidence and promote the advantages that everyone would enjoy in the new facility. Another consideration was the preservation of remnants of the original Adventist settlement in Australia, once a health spa, and now classed as Heritage structures. 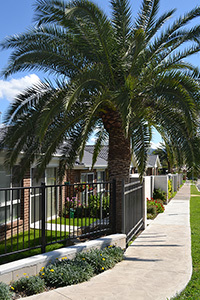 The final Masterplan retained most of the major services and roads but rationalised the layout of the facility to provide footpaths for residents who previously had to walk along roads and added disabled access. It also allowed for a new community centre which is central to the village. It provides flexible meeting spaces for church services plus craft and social activities. Within the centre is a new hub for the village’s inhouse television channel. Having twice failed to receive planning approval, Macquarie Health turned to Imagescape to resolve the issues posed by the difficult site. The land is heavily treed which demanded a clever approach to maintain the trees and still provide adequate disabled access. The site is also on a significant slope and surrounded by well-maintained 1920s style homes. 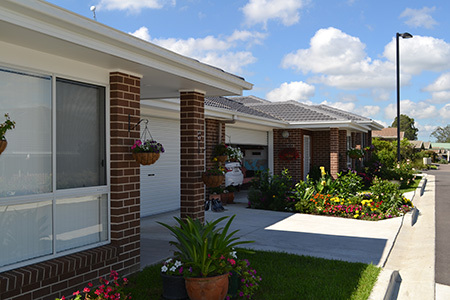 Imagescape delivered a Masterplan that ensures the facility blends harmoniously with the streetscape yet still delivers all the services for retirement units and assisted living, and, most importantly, can receive planning approval. The units are designed for the upper end of the market with 13 three-bedroom apartments presented as a series of interconnected two storey houses in a complementary palette of materials. There will also be 60 generous studio apartments with round-the-clock nursing care, rounded out with a restaurant, therapy pool and gymnasium. Imagescape has been working on this project for some time and is now ready to release a sneak preview.